Like the era it surveyed, this concert was uneven and had its hits and misses due the material selected and its varying performances. 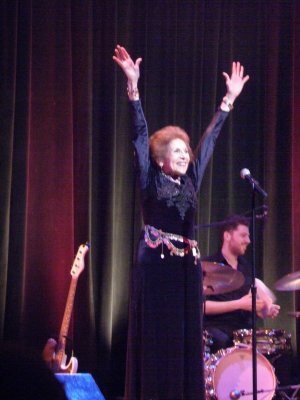 “Life Is,” from the 1968 Kander and Ebb musical Zorba as grandly performed by it’s original Tony-nominated cast member, Lorraine Serabian, was the show stopping highlight of the historical survey concert, Broadway by the Year: The Broadway Musicals of 1966 – 1990. With fiery hued hair, in a flowing black dress, tied with an elaborate gold belt, Ms. Serabian, fabulously recreated her theatrical moment of glory with this hard-edged anthem. Her deep, rich, expressive voice was matched with intense facial expressions that ranged from fierce to joyous. Mesmerizing on all levels, her performance of this one song felt like an entire concert all by itself. She was initially the understudy in the show, and was picked by director Harold Prince to replace the first actress during the out-of-town tryouts. 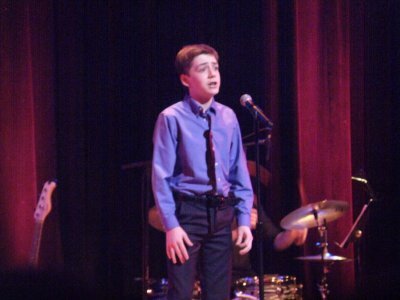 Among the performances by newcomers, a standout was Christopher Johnstone’s rendition of “Love Can’t Happen,” from 1989’s Grand Hotel. With leading man good looks, a soaring voice, combined with acting talent, he perfectly portrayed the character of the romantic Baron from that show. 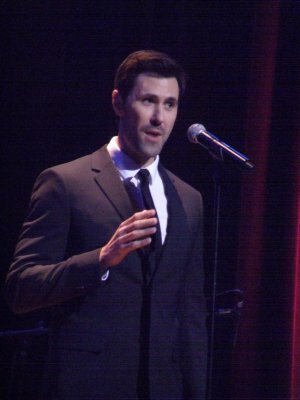 “This is a trip to the past…when Broadway changed and evolved,” said Scott Siegel, the evening’s host, writer, and creator of this concert series, now in it’s 15th season. For each 25-year period, one song from one selected show is performed. The gregarious, assuredly knowledgeable, and humorous Mr. Siegel who also directed the evening read from his informative commentary and introduced cast members. Due to illness, three performers were unable to appear and had to be replaced on short notice. The previous concert in this year’s series covered 1941-1965, and that is popularly known as Broadway’s Golden Age. What to call this age? Bronze? Copper? Tin? Many of the Golden Age’s leading figures had either died, retired or were fading. In this period there was a blend of hits, flops and Broadway’s declining relevance in yielding popular songs. Still, there was much greatness to celebrate. The subjective challenge in depicting this era is what to present. This program was a fairly representative mélange of obscurities and very well known songs. The concert was also a showcase for younger talent. In some cases this inevitably meant that they were not ready yet to project the life experience of, or possessing the dramatic skills, to convey the essence of the characters that they were portraying in the songs from these Broadway musicals. This resulted in overwrought vocalizing that though technically accomplished was emotionally uninvolving. The outstanding portions of the show were where a particular performer’s often purposefully restrained vocal abilities and stage presence perfectly matched the material. In addition to the superb appearances by Ms. Serabian, and Mr. Johnstone, there were a variety of other fulfilling and entertaining sequences from among the 25 numbers presented. 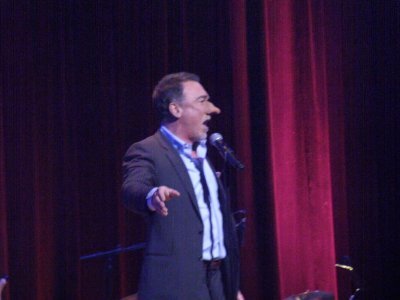 A not so distinguished song from 1973’s flop, Cyrano, was elevated by Patrick Page’s rendition. Wearing a large, fake nose and with his deep, booming, precise delivery, he transformed “Cyrano’s Nose,” into something sounding as though it were written by Lerner and Loewe. “Lullaby of Broadway,” from 1980’s 42nd Street, became an epic of comedy and wistfulness as sung by Mary Lane Haskell. Adorable and very talented ninth grader Mercer Patterson was comical and also very touching singing “Mama, A Rainbow,” from 1970’s Minnie’s Boys, a musical about The Marx Brothers. Miming flying a kite with frustration and accomplishment, Jamison Stern was very entertaining performing “The Kite,” from 1971’s You’re A Good Man Charlie Brown. Though a huge success Off-Broadway, the show had a very brief run when it transferred to Broadway. The dynamic tap dancer and wonderful musical comedy performer Noah Racey choreographed and a performed a rollicking duet of “Keepin’ Out of Mischief Now,” from 1978’s Ain’t Misbehavin’, with Gabrielle Stravelli. The 1980’s “British Invasion,” of mega-musicals that came from London to Broadway was well represented. “Nobody’s Side,” from 1988’s Chess, became a big pop tune production number with excellent vocalist Jessica Hendy joined by The Broadway by the Year Chorus. Overcoming its familiarity with his incredible voice was Bob Stillman’s sweeping, “Bring Him Home,” from 1987’s Les Miserables. Carole J. Bufford sang a sensational, sly, jazzy “There Are Worse Things I Could Do,” from 1972’s long-running Grease. Michele Ragussa was intense and stirring singing “Unusual Way,” from 1982’s Nine. Musical director and arranger Ross Patterson on piano expertly led the great Little Big Band through out the diverse program. Tom Hubbard was on bass and Jamie Eblen was on drums. They also did an an engaging instrumental version of “Stop! In The Name if Love,” from 1986’s flop African-American historical musical revue, Uptown…It’s Hot! 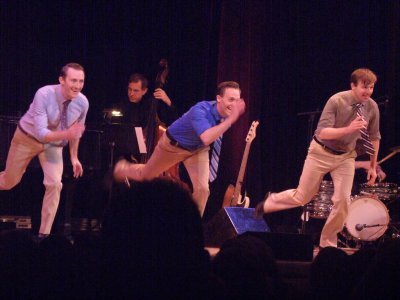 The supreme tap dancer Danny Gardner was joined by the personable duo of Brent McBeth and Drew Humphrey for a dazzling “Nice Work If You Can Get It,” from 1983’s My One And Only which was flawlessly choreographed by the beaming Mr. Gardner. He appeared for the finale, which was from 1990’s Buddy—The Buddy Holly Story. That show ran five years in London, but only six months on Broadway. He did a rocking, “Oh, Boy!” He was later joined onstage by the entire cast for euphoric farewells. A humorous trip through history as interpreted by Jewish songwriters. If you want to witness a powerful cabaret about love, go to the Metropolitan Room over the holidays. Charming biographical musical relating the ups and downs in the career of the legendary songwriter who was always able to musicalize the vernacular, with a score made up of his own songs.